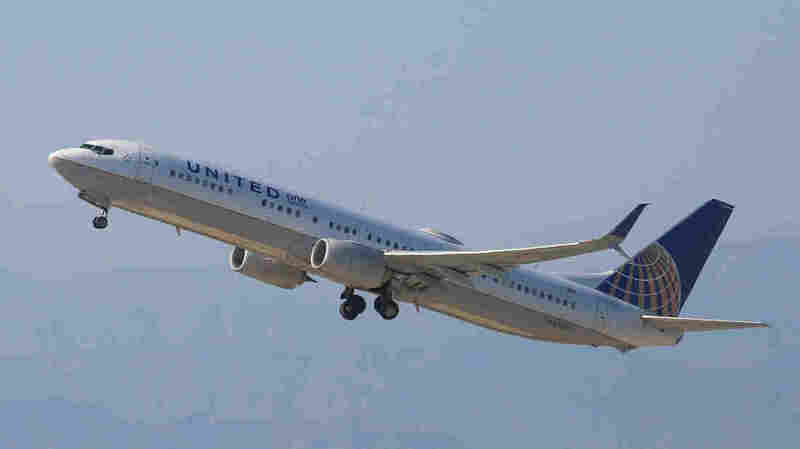 United Apologizes As Another Passenger Loses Seat, This One A Toddler : The Two-Way Shirley Yamauchi had to hold her 2-year-old on a flight from Houston to Boston, despite having bought him a ticket. United Airlines said it failed to properly scan the boy's boarding pass. United is apologizing once again after this time giving up the paid seat of a toddler to a passenger on standby. United Airlines is apologizing once again for giving up a passenger's paid seat in another embarrassing incident for an airline that had promised to do better by customers. Shirley Yamauchi told Hawaii News Now that she was headed to a teachers' conference in Boston last week and took her son along, paying nearly $1,000 for his ticket. "On a recent flight from Houston to Boston, we inaccurately scanned the boarding pass of Ms. Yamauchi's son. As a result, her son's seat appeared to be not checked in, and staff released his seat to another customer and Ms. Yamauchi held her son for the flight." Yamauchi doesn't accept the explanation. "I saw them zap both tickets. There was no issue, no problem," she told NBC News. "It just doesn't add up." The incident also flew in the face of United's own policy requiring children older than 2 to have their own seat. "I had to move my son onto my lap. He's 25 pounds. He's half my height. I was very uncomfortable. My hand, my left arm was smashed up against the wall. I lost feeling in my legs and left arm," Yamauchi told Hawaii News Now. But despite the physical discomfort of the 3 1/2-hour flight, Yamauchi told the station that she didn't fight for her son's seat out of fear of retaliation. "I started remembering all those incidents with United on the news. The violence. Teeth getting knocked out. I'm Asian. I'm scared and I felt uncomfortable. I didn't want those things to happen to me," she said. The publicity nightmare spurred United to apologize and announce a series of changes, including a commitment to "not require customers seated on the plane to give up their seat involuntarily unless safety or security is at risk." Guerin told NPR in a statement that the airline is reviewing the details of the incident. "This should not have happened. We sincerely apologize to Ms. Yamauchi and her son, and we are refunding their tickets and providing additional compensation," he said. Yamauchi told NBC News that she does not agree with the compensation. "It doesn't seem right or enough for pain and discomfort."